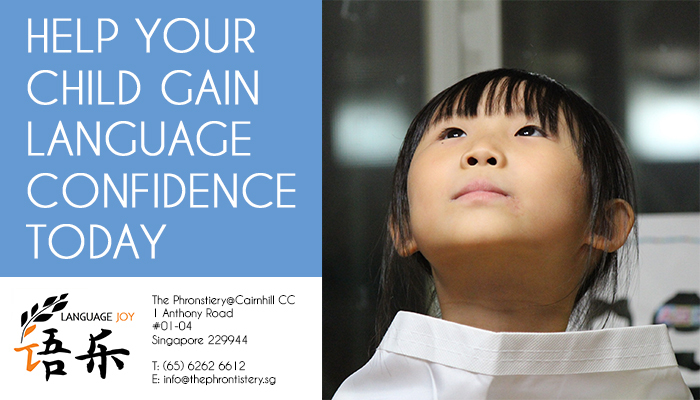 Help Your Child Gain Language Confidence in Chinese! What does “Chinese” mean to your child? How do we get our children to be interested in the Chinese Language? Learning Chinese may be daunting for many students, but it does not have to be difficult for your child! In working with students of varying proficiency level in Chinese, what we have learned is that language proficiency works hand in hand with language confidence. Language confidence is not simply about being able to articulate with confidence, it is using the language with the certainty that the audience can understand them. What are some of the ways by which we can build Language Confidence in our learners? There are four main skills that we focus on when learning a language, namely listening, speaking, reading and writing. When we speak of language confidence, many will inevitably think of speaking. However, students will first need to process the sentence in their mind before they can articulate their thoughts in Mandarin. It is therefore important that students are exposed to high frequency words which will help them to connect phrases and sentences. Parents can help their children by pointing out high frequency words to help them make sense of the sentences which the child is reading. For example, at Primary 1 level students will be taught vocabulary relating to family. Beyond reinforcing “姐姐” and “弟弟”, it is important to help students understand how to chain a sentence together using high frequency words like “有”, “和” and “也”. When students have fully grasped the meaning of these high frequency words, they will be able to chain sentences together effortless. Some focus on the vocabulary which is found in the 识读 and 识写 section of the Chinese textbook so that they have a quality learning in building a foundation. However, the mastery of a language requires a substantial quantity of vocabulary which can be used to support the quality learning. Instead of focusing on the selected list of vocabulary which students learn in school in order to score for the examinations, parents can free up some of the practice time to let their child be exposed to a wide variety of books. Allow the child to choose the books that they read, as long as they explain how they have chosen the books (hopefully in Mandarin too!). Not only will this allow them to seek out the genre of books which they are interested in, it will help them to gain proficiency in Chinese through the comprehension of different texts. By focusing on the reading to help them gain exposure, it will also take the stress off our learners when they revise for the Chinese examinations. Pulling together what the vocabulary they have learned in school with the complementary vocabulary that they have gained through reading, students will be able to breeze through the examinations with a more complete set of vocabulary. Equipped with both literacy and proficiency, this language confidence will continually grow as a healthy cycle of learning as students see the positive results of their holistic learning. There are learning routines that parents will set in place for their children, but very often these learning routines may not be the best for students who already find Chinese difficult. Healthy Learning Habits go beyond learning routines, it is about a cycle of deliberate practice. Students are well exposed to deliberate practice in writing as they practice 习字and prepare for their 听写, but they may not have been exposed to the deliberate practice in reading and exposing themselves to new vocabulary. The golden age for developing proficiency in reading is between the ages of 6 to 12, and students should have developed mastery in at least 1500 Chinese words so that their understanding of the language can be sustained. It takes time for students to develop deliberate practice in reading, but we can set our learners up for success by putting into place a specific time for reading. 10 minutes of purposeful reading a day not only goes a long way in learning, it also helps to build an encouraging environment for young learners as they see their parents learning together with them. The consistent and deliberate effort will build language confidence in our young learners as they see the adults taking a journey in learning Chinese together with them. Learning Joy believes that every child is able to excel in Chinese through an enjoyable learning process. Developing a comprehensive reading programme that will help student master 2000 high frequency words within 4 years, the Learning Joy programme provides a fun and engaging environment for your child to use Chinese skillfully. 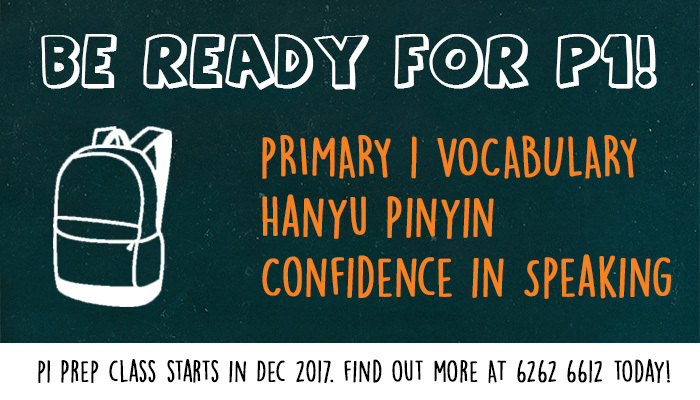 If you would like for your child to gain this language confidence in Chinese, contact us for a free 2-hour trial to experience our programme today!